Doesnt seem possible but over very first challenge Cutie Pie challenge has come and gone and we are now at #2. 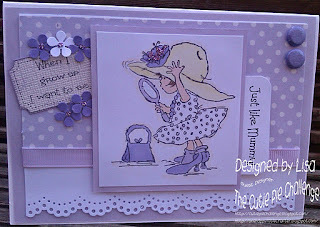 This is my own DT card, and features one of my favourite Cuties of all! 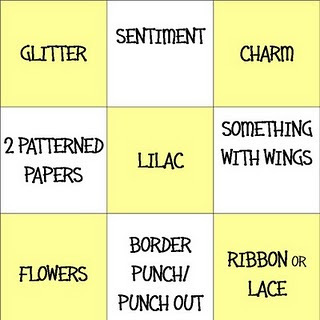 This time we have a "Bingo Board" theme, and as you can see i've gone straight down the middle! We would absolutely love your company, so CLICK HERE for eyes down and play along! Have several things going on at home at the mo, so havent had as much time as I would like to visit your blogs, but I will try to make ammends when I am able too. Gorgeous card Lisa, I like the sweet image and the papers. We're feeling Funny at Aud Sentiments! A recipe for a Cutie Pie!!!! Life is full of challenges!